Silk Bedding Direct are a leading provider of high-end luxury mulberry silk-filled duvets to customers around the world. More recently our silk-filled bedding range has been extended to include silk-filled pillows and silk-filled mattress toppers – all with the same great long-strand mulberry silk interior. Below is a selection of silk bedding reviews and comments received from some of them. It is due to the very high quality of bedding and comments like these that Silk Bedding Direct are known as suppliers of the very best mulberry silk-filled bedding on the market today. "The silk duvet arrived yesterday and I slept under it last night. It is just like you say on your website, it drapes snugly around you and is so comfortable and warm. At first I wasn't sure about buying one but now I'm really pleased that I did." "Exactly as described. Lighter than feathers, beautifully warm. " “The duvet has arrive and it is fantastic! This is the first time I bought a duvet with the silk inside it, so wonderful. My friend visited me and I showed her the silk inside, she couldn't believe! I think she will also buy one. Wow, so great, thank you for this great duvet! A very happy customer." " Wonderful silk duvet, great quality. Perfect for me even on cold winter nights. Nice company to deal with too. " “Wow! The silk duvets are fabulous! I can't believe how warm they are being so light. So very well made too, certainly not expensive for the quality. Thanks from a very satisfied customer." “I bought a silk duvet king size, I love it and will be purchasing another one!" "Hi, I just wanted you to know that my single silk duvet quilt arrived yesterday. I'm delighted with it. Fantastic quality and a great price. 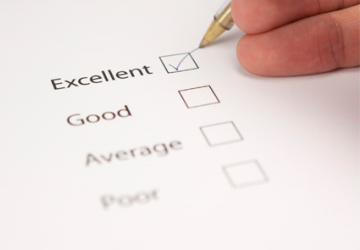 I also want to thank you for your excellent customer service which is second to none." "Hi...Many thanks for a speedy delivery, far faster than most suppliers !! Looking forward to a better sleep, thanks..."
" Easy to fit and cool to touch I love it just what I wanted. " "Hi, I just wanted to let you know that I am over the moon with the 2 duvets I have purchased from you. I had been suffering from overheating due to a memory foam mattress and the use of a synthetic duvet, and after a few weeks using your silk duvet I can only say that it has changed my nights! I am now very keen to purchase a silk mattress protector or topper, and was told that you might start selling these in May maybe this year. If you could maybe put me on a mailing list if possible to let me know when these might become available it would be great. If not possible, I will make sure I visit your website on a regular basis." "My son has asthma so I ordered one of your duvets, now it's arrived I'm ordering a double for our bed too! You can use my comments to tell others, I can't recommend your mulberry silk duvets, highly enough, so soft, light and natural too." "The silk duvet has arrived and oh my! It is absolutely fantastic! Very impressed." 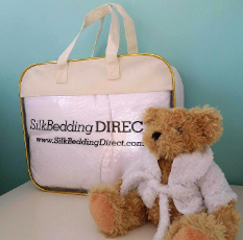 “Thank you for my wonderful silk duvet, it arrived very quickly in a nice bag and is so very warm and comfortable. I will be ordering another one soon and have no hesitation in recommending your webshop to others." “The silk duvet is already arrived today and is so lovely for the touch. Very nice for quality too, I could not find a store to buy duvets made from silk like this here in Switzerland. This night I will sleep in the duvet, already I am anticipating it to be very comfortable and good for sleep." “These are the most lovely eye masks available. If I were to say that they were very comfortable to wear I wouldn't be exactly telling the truth, the fact is that they are so light and soft that you can hardly feel that you are wearing it at all. Beautifully made, block out the light and well worth the cost. Can wear all night with no discomfort at all. Wouldn't hesitate to recommend them. " “Been using silk duvets for years and really love them. This is for a sick father who can not bear weight on him and he is truely converted.. "
“Item arrived on time and very well protected. The pillow comes in a handy storage container/carrier bag. This is very useful if you are an allergy sufferer and need to take bedding with you when you travel. I had not tried silk filled bedding before, so this was a first, as recommended by a friend. Super soft. Keeps it's shape much better than feathers or down. A duvet is now on the wish list. " “I just want to thank you for your great customer service in regard to the couriers. We got the cot duvets last week and our twins love them, so soft to touch. They seem to sleep better too and don't get sweaty in bed. Thanks again." “I recently purchased a king size quilt from you which I love and a client of mine (I am a physiotherapist) has now also purchased one from you! Many thanks"
“Fantastic item and fantastic service. It arrived a day early. I have only used this for a couple of nights but already I am so pleased with this item. I have a silk filled duvet and they are superb, that's what prompted me to buy a mattress topper. The topper seems to work just like the duvet, it regulates heat which means that you feel clean, fresh and relaxed. Definitely recommend. " “I am very happy with my purchase! I had few from White company but I found that they have 30% mulberry silk +70% tussah silk. For the price they charge is too expensive compare with your duvet. I have already recommended you to my friends as better quality and price." “I looked to buy silk duvets in Sweden then I found your website and you have the high luxury silk duvet so I bought on the internet from you. I bought both thickness of the king size and they arrived here in Sweden very quickly – only 3 days and already on my bed! Really very comfortable, much better than I had before with feathers and for the price it is really much better than I thought. I am very happy with this and soon I will buy another for my daughter. Thank you for good service and good duvets! Later I will buy pillows from your website with the same silk filling "
“I just wanted to let you know that I received the silk duvet and I couldn't be happier with it. I didn't expect such good quality for the money paid and I got a free storage bag with it too which I wasn't expecting. It is very comfortable to sleep under, much better then the eiderdown I used before. And looking at the quality workmanship I think it will last me for many years to come. All in all excellent silk bedding and a very good buy." “I had never heard of luxury duvets filled with silk before, a friend recommended them and I am so grateful she did, really wonderful. Even my husband noticed the difference, and that's saying something!" “Your silk filled duvets are the best!! We received it yesterday it arrived very quickly and nice bag for it too. Sleeping in it is like being in heaven, so soft and light and warm. I can see it is very well made and it can last for many years. Your website says your silk filled duvets are the best and I agree!" “Wow! The silk duvets are fabulous! I can't believe how warm they are being so light weight, it seems like they should be heavier for the warmth they provide. I guess silk is a very lightweight fibre so that's why, really nice to be so comfortable but not have the weight on your body like with other types of bedding. I opened the little zip on the duvet and felt the silk inside, it's so so soft, no wonder it keeps me so warm I guess. I've never had a duvet filled with silk before, very pleased that I bought these, they're so very well made too, certainly not expensive for the quality. Thanks from a very satisfied customer." “Great duvet, great quality, great price – yes, very satisfied thanks.."
“The silk inside is very wonderful so the duvet is very comfortable. I did not see this kind of silk duvet in Austria so buying from the internet is a very good way for me. My girlfriend thinks it is very cool too!" “In Germany the silk duvets are very expensive so good to buy from you guys in England, and it arrived here very quickly. Very good quality and comfort, I am really very satisfied that I got this. I will recommend Silk Bedding Direct to my friends. Thank you for the good service and duvet." “Your silk-filled duvet is so lovely, soft and light, delightful to sleep under. The mulberry silk inside is such a wonderful material. 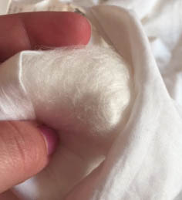 I knew silk was soft to touch but didn't realise it had such good insulating properties too, and amino acids that soothe the skin and hair, it really is a wonderful material. Your company was very professional with the delivery and I can see the duvet is obviously very well made and will last for years to come. I'm a very happy customer, thank you." Why not join our growing band of happy customers?